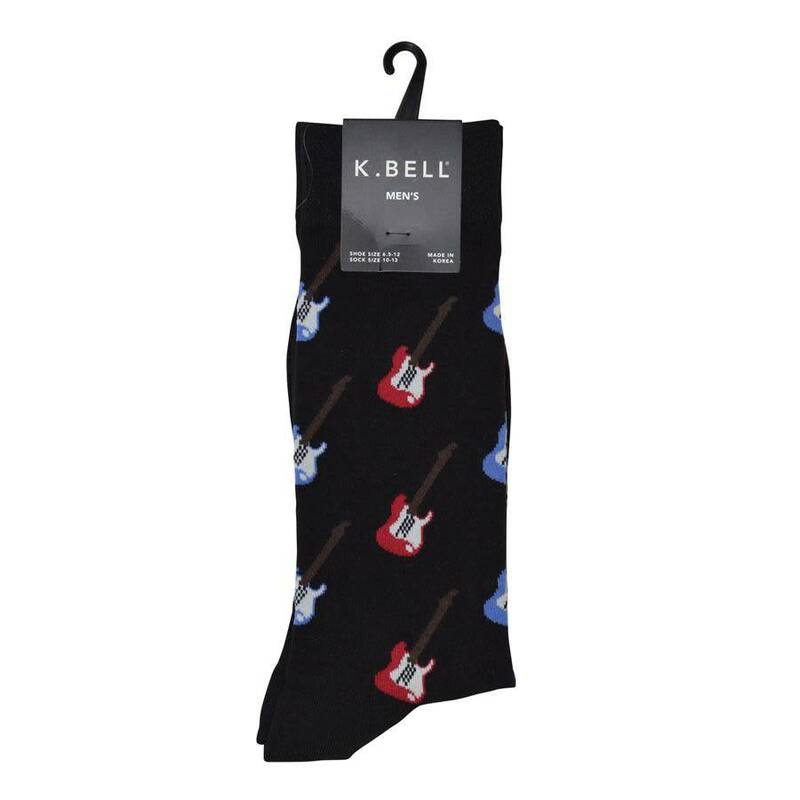 Rock out in a pair of our novelty Men's Electric Guitar Socks! These musical socks for men feature an all over electric guitar graphic pattern in bold reds and blues against a black background. They're perfect for anyone who dreams of being a rock star!